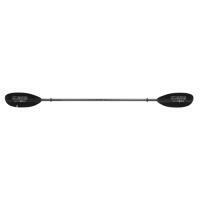 The Bending Branches Angler Ace PLUS Telescoping Kayak Paddle is a versatile, lightweight, and adjustable length carbon paddle that features large carbon-reinforced nylon blades. 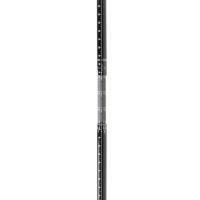 This paddle is built with an adjustable telescoping length that also enables fully customizable feathering options. 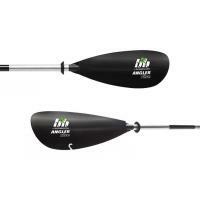 The Angler Ace is a rugged paddle that has a snug fitting. 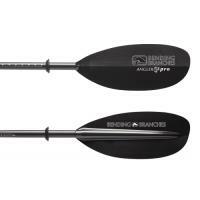 The Bending Branches Angler Pro Plus Carbon Kayak Paddle is the one of the lightest paddles on the market and provides a smooth, powerful stroke. 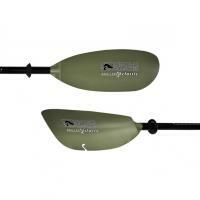 This paddle features an adjustable telescoping length, which is great for various angler and boat sizes. The Angler Pro Carbon has a strong, 2-piece, 100% carbon shaft, durable and adjustable PLUS ferrule, comfortable oval shaped shaft, dual tape measures on the handle, and tight multi-laminate carbon paddle blades. The Bending Branches Angler Rise Kayak Paddle is a solid entry-level paddle for any angler looking to start paddling and casting. This paddle is a terrific value featuring a comfortable aluminum ovalized shaft, hook retrieval blade system, efficient adjustable feathering angles, and a comfortable lightweight design. 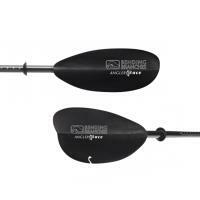 The Angler Rise Paddle comes with a two-piece shaft designed to be easier for storage. Drip rings are found on both ends for stopping water from entering the seating area. The Bending Branches Angler Scout Kayak Paddle is a customizable utility paddle that offers up loads of features in addition to durability. This is a rugged paddle featuring a dual tape measure on the handle, comfortable aluminum ovalized shaft, hook retrieval blade system, efficient adjustable feathering angles, and a tight paddle blades. The two-piece shaft offers a more compact storage option, while drip rings on both sides stop water from trickling down the shaft. The Bending Branches Angler Ace PLUS Telescoping Kayak Paddle is a versatile, lightweight, and adjustable length carbon paddle that features large carbon-reinforced nylon blades. This paddle is built with an adjustable telescoping length that also enables fully customizable feathering options. The Angler Ace is a rugged paddle that has a snug fitting, adjustable Plus ferrule, hook retrieval blade system, comfortable carbon ovalized shaft, tight paddle blades that cut through water, and dual tape measures on the handle. 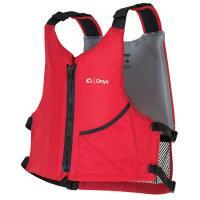 The 2-piece shaft breaks down for easy storage and sports drip rings on both sides to help halt water from trickling down onto your hands and kayak. Blade Surface Area: 105 sq. in. 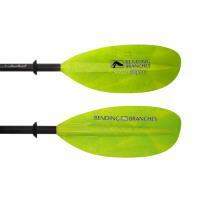 The Bending Branches Angler Ace PLUS Telescoping Kayak Paddle is made in the U.S.A. 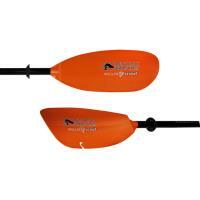 The YakGear Folding Paddle Clip Kit is a great addition or replacement to any kayak for the ease of paddle storage. 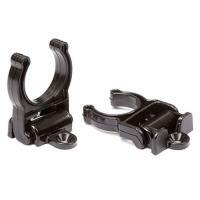 In addition to securing your paddle to your kayak, these clips also fold away when not in use to eliminate lines, ropes, or leashes snagging on them. 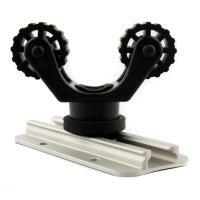 Each kit comes with two clips and the hardware to install them!